Usually seen in flight when long tail, pointed wings and shallow wing-beats can cause resemblance to a Kestrel, but head held slightly raised and wings not lifted above level of body. Grey above with barring on underparts; grey underwing has pale line through centre. Female similar but with brown wash on band across breast. Also occurs in a less common rufous phase in which female and juvenile have brownish red plumage with noticeable barring on upperparts and breast. 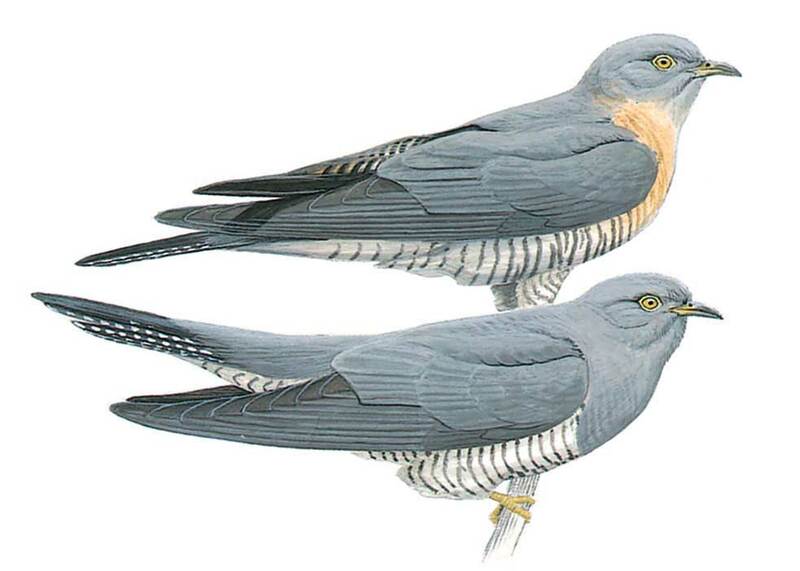 Grey phase juvenile is dark brownish grey, with pale fringes to feathers above and whitish spot on nape.